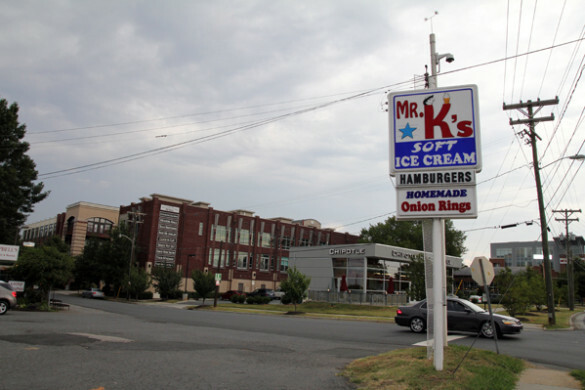 When people mention Davidson, NC in any capacity, whether it be about the people, places, or things to do, you always get a chorus of “Awwww… I LOVE DAVIDSON!” 1 I mean, who can blame them? They have awesome restaurants, an amazing college campus, beautiful houses, and plenty of fun things to do (can anyone say Lake Norman?). Out of the very few times that I have visited Davidson, I have always left with a sense of wanting to move there. That can mean one of two things, 1. There is a odorless and colorless toxin floating around making you slaves to the Stepfords of Davidson, or 2. It really is that awesome. 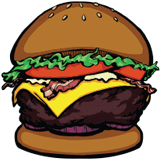 So you can probably imagine my excitement when we got an email from the General Manager of Flatiron Kitchen & Taphouse, Jason Tognarina, inviting us to try their burger 2. 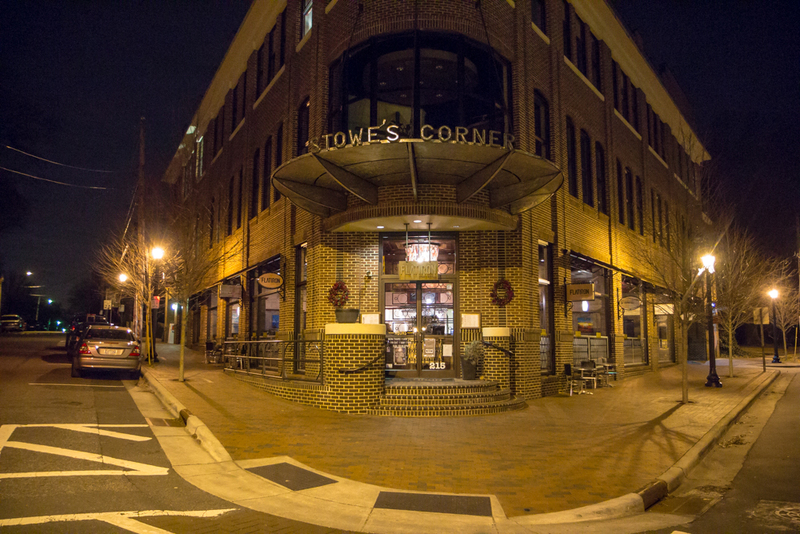 Flatiron Kitchen is on the first floor in the Stowe Building, which is located in the heart of Davidson. The building is oddly shaped, like a wedge, which is pointing out into the intersection. This is where Flatiron Kitchen derived its name from. A building with this type of wedge architecture take on the name “flatiron” due to it’s resemblance to a cast-iron clothes iron. You might know or have seen the most famous of these buildings in New York, plainly dubbed The Flatiron Building. Successfully dodging traffic, we made it inside and sat down. Our server Greg 3 introduced himself, handed us our menus, dealt with our stupid questions (more on this later), and took our drink order. Cooked to order: One Step Up. Flatiron Kitchen only offers one burger and that is the Snake River Farms Wagyu. So the first thing that we had to figure out was, what the heck is a wagyu? We posed this question to our trusty server Greg 4 and lucky for us he was able to drop some knowledge bombs in our brain baskets. He informed us that a wagyu is the designation for the different types of Japanese cattle. In America, we cross breed these wagyu cattle with black angus to give us a very similar beef we dubbed American Style Kobe. Flatiron Kitchen gets their meat from at Snake River Farms in Idaho. Talk about getting your meat special ordered! When my burger came out, the first thing I noticed is the most wonderful smell that is permeating from the meat. It had that “right off the grill in you backyard in the warm night of May while drinking a nice cold beer as your gal lights up a cigar for you” smell. 5 As I picked it up and started to adjust my shoulders, Greg 6 stopped me and made sure to let me know that these were not usually the buns that they work with, 7 that they usually do not use sesame seed buns. I told him it would be duly noted, and that I prefer sesame seed buns anyways. Diving in with the first bite, you can rest assured that your extra dollar that you spent on the bacon is well worth it. There were two long thick strips right on top that were cooked to perfect floppiness. It tasted like they just came right off the griddle and onto the plate as they were walking it out. The cheese was good and had that nice sharp white cheddar taste, but it was a small thin slice. Of course being the fatty I am, I wish there was more. The lettuce was useless, as all garnish lettuce is. The patty itself was pretty amazing it had a distinct taste, but I am not quite sure it was from the Japanese-American cow, but more from the cooking style. The patty was crisp and charred on the outside while medium-rare on the inside. Yes you know by now that I take my patty rare when asked, so it came out to the table cooked one step up. It was still great though (with blood dripping on the plate to drive its point). 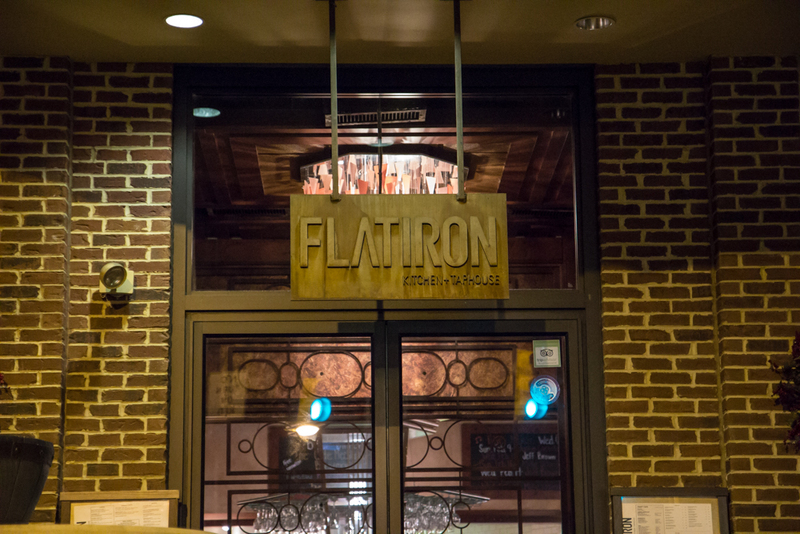 Flatiron Kitchen is more of a high end eclectic restaurant serving crab beignets 8 and seared tuna for appetizers, calamari and goat cheese for bar bites, and cast iron duck and seared diver scallops for entrees. Of course, whenever I see fresh soft pretzels on the menu I just have to order some. 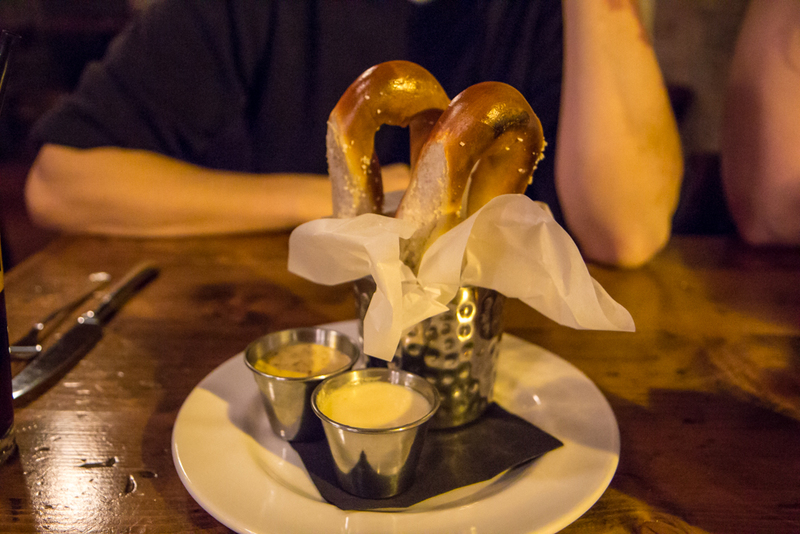 The pretzels (which was really just one large pretzel cut in half) came to the table with a white cheddar fondue and a house-made mustard. The mustard was delightfully hot and spicy while the fondue, well, lets just say that there might have been a few plans laid out to steal a whole vat-worth of that stuff. The pretzels themselves were cooked gloriously with the outside nice and crisp and the inside soft and fluffy. The beer selection was small but admirable given the irregular space they had to work. 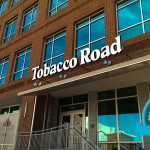 They made the best use of the space by adding the own odd-shaped bar in the odd-shaped building they were in. It was a hexagon with the dubbed “Tap Tower” in the middle of it. Flatiron Kitchen has what they call the “Pride of the Old North State” which features at least six select beers from across North Carolina. They also had other craft beers there as well. We love restaurants who take their beer selection very seriously, especially those who highlight local and state beers. They even had a scheduled Beer Dinner featuring Olde Mecklenburg Brewery. SIGN ME UP! 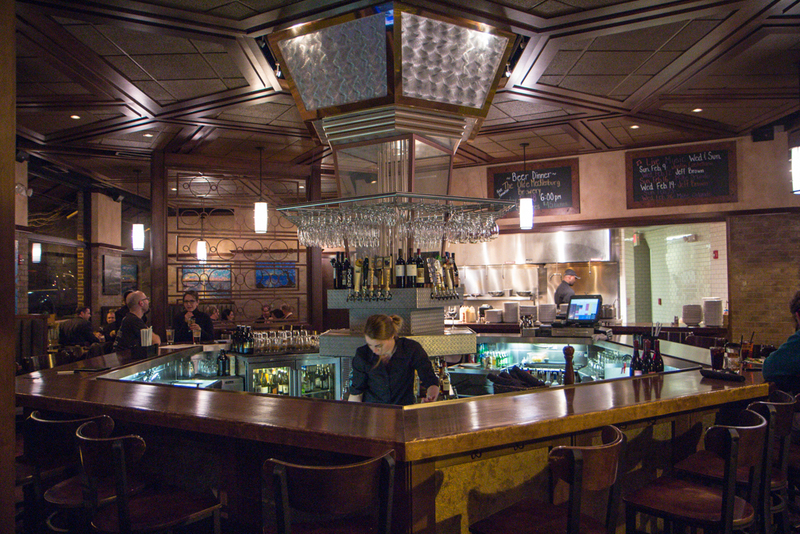 Flatiron Kitchen was put in an oddly shaped space and it still looked classy and upscale. They had butcher block tables to sit at and the awesome bar I spoke about above. 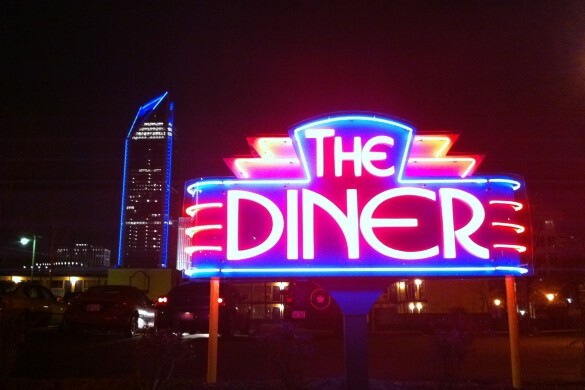 They had an old New York hotel vibe going and it made you feel that you were not quite in North Carolina anymore. Our server, Greg, was attentive and kind and answered all of our questions with a smile. He didn’t even question us when we got the tape measure, scale, and burgometer out! 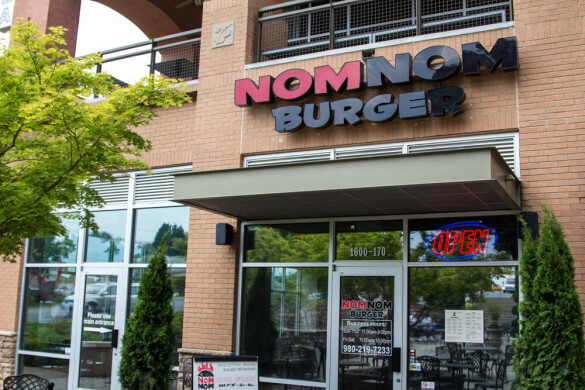 9 It is in the heart of downtown and you can see the campus from the window, I wouldn’t mind making a detour here for a quick bite as a ran late to yet another class. What was your favorite thing (non-food) about Flatiron Kitchen & Taphouse? Being an art nerd, I loved the pieces they had around the place. Looked like they were from a local Davidson artist. 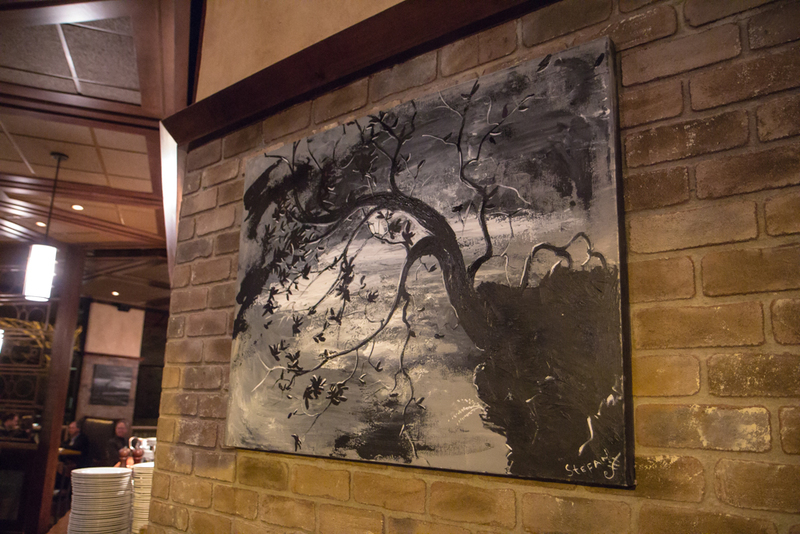 This one above was the table favorite. What’s up with those Salt and Pepper shakers? How many holes does each shaker supposed to have? You see we had a huge debate over this. 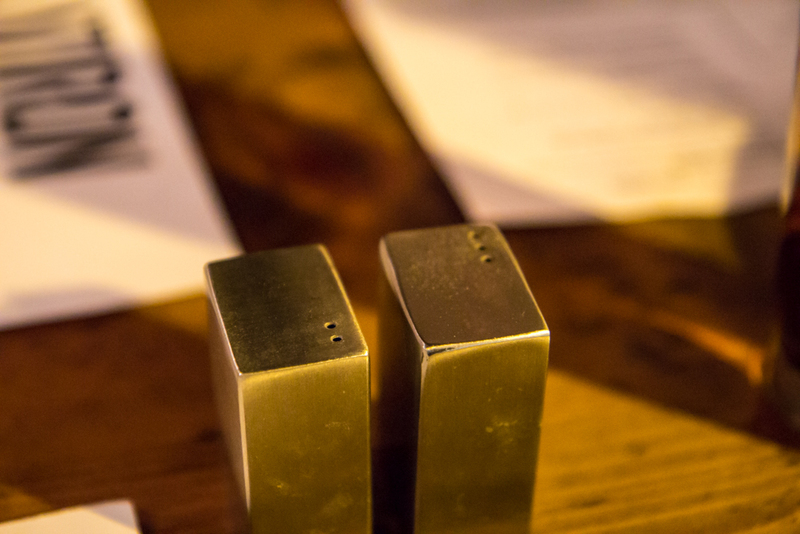 Here at Flatiron Kitchen the salt shaker had the most holes, which in America is backwards but in European countries it is the norm. I personally prefer more pepper than salt but others at the table still hold in their firmness that that is wrong. I would really love to try the cast iron duck. 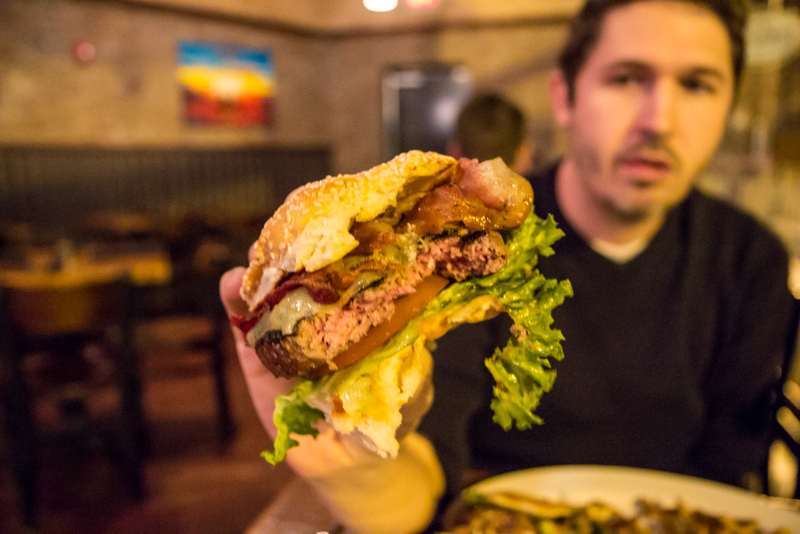 Does Flatiron Kitchen & Taphouse earn the Charlotte Burger Blog Seal of Approval? 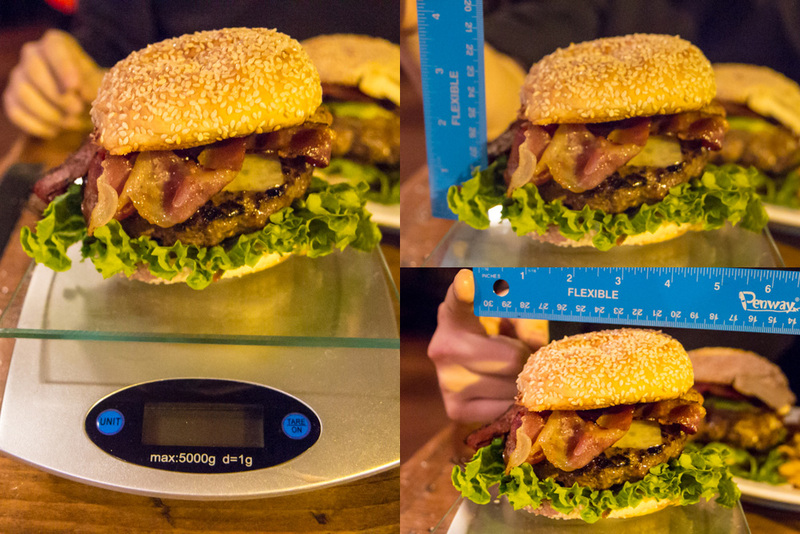 Overall the burger was pretty amazing, with the amazing bacon and cheese, as well as the wagyu patty, and being the first burger I reviewed in 2014 I have very high hopes for this upcoming year. They totally get awarded the Seal of Approval.